The Eiffel Tower attracts close to 7 million visitors a year, and this summer a handful of those visitors will be invited to sleep over. As Mashable reports, HomeAway is hosting a contest for the chance to win one night's stay on the first floor of the Paris landmark. The sweepstakes is being held to promote this summer's UEFA Euro cup, which is sponsored by the vacation rental service. Contestants can enter to win by using 140 characters or less (a la Twitter) to describe how they would spend their night in the Eiffel Tower apartment. 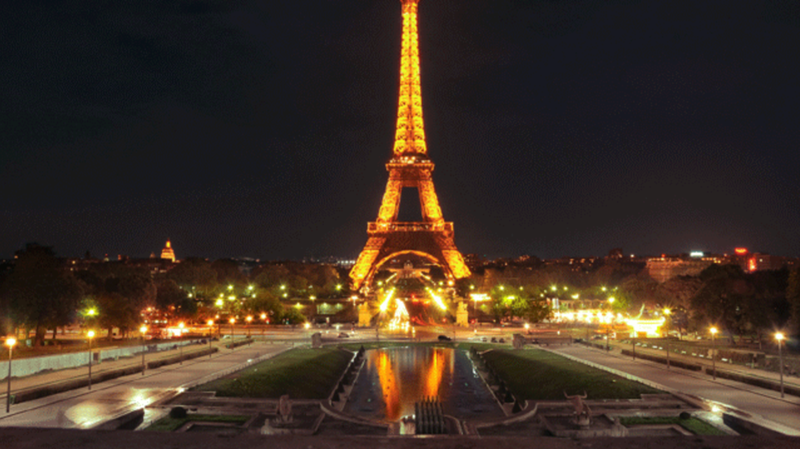 Throughout the month of June, four winners with five guests each will be provided with round-trip airfare, an exclusive night in the Tower, and three additional nights in one of HomeAway's Paris vacation rentals. Though Gustave Eiffel did construct the tower with a private apartment at its pinnacle, guests will be staying in a different part of the structure. A bedroom and living space will be set up on the tower's first floor just for the contest, and visitors will enjoy a complimentary dinner and breakfast on site. Contestants can enter to win here and the finalists will be announced June 10.